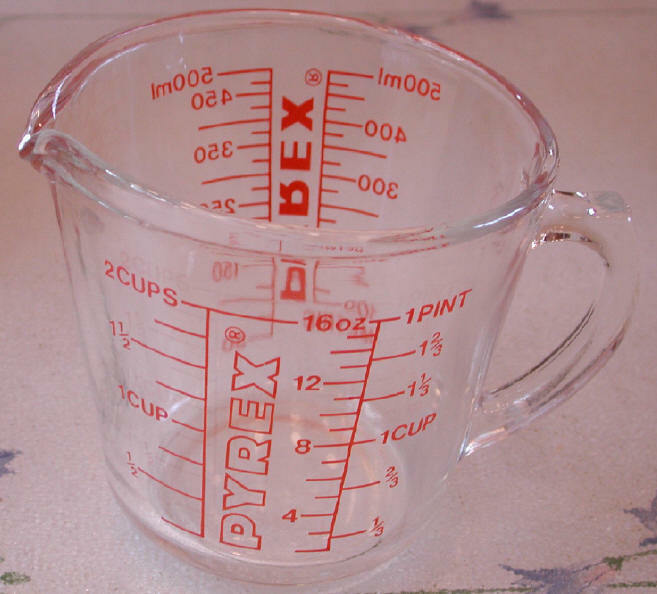 Measuring cup, liquid in glass are a perfect addition to your everyday cooking utensils. We prefer heat treated glass liquid measuring cups so that we can heat the contents in our microwave oven, when necessary. 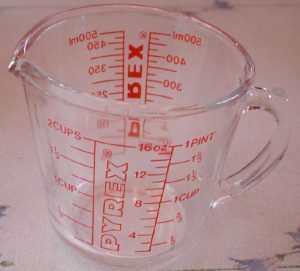 This particular cup is calibrated in both the English and metric systems of liquid measurement.